This is the one! Sitting on likely the biggest lot in the community, on a quiet cul de sac street, this GORGEOUS Imagine model boasts over 2,700 square feet under air with 2 bedrooms, 2.5 bathrooms, 2 car garage, den/office, oversized smart space with desk area, enclosed sunroom/bonus room and second bonus room/mother in law suite with private entrance! 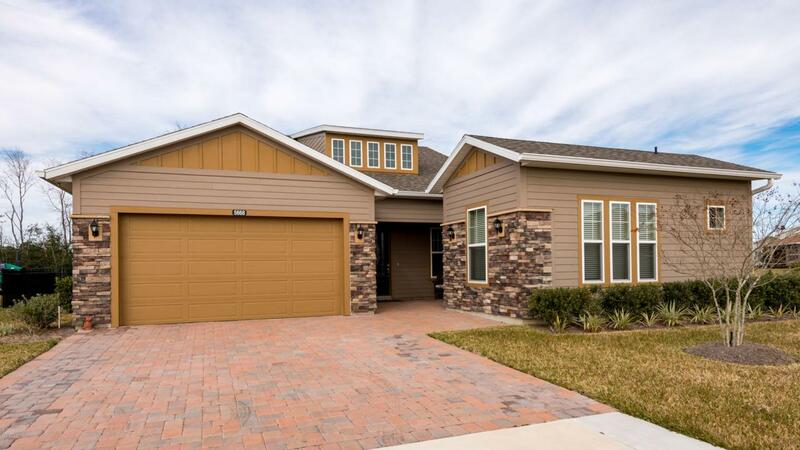 Upon entry, you are greeted with GORGEOUS high end wood tile flooring, high baseboards, and an open floor plan. This kitchen was created for entertaining. Whether friends for game night or holiday dinners - the kitchen features a LARGE center island with dark cabinetry below, tall white cabinetry with molding and high end appliances that opens to the great room, sitting area, dining room and bonus enclosed sunroom. The master bedroomdining room and bonus enclosed sunroom. The master bedroom features tray ceilings, plush carpet, oversized master bathroom that houses a gorgeously tiled shower, dual sinks, vanity mirror, water closet, linen closet and HUGE walk in shower. The office/den is the perfect space for a computer room, hobby room or library. The second bedroom houses its own bathroom with shower/tub combo. It is through this bedroom you'll find your bonus space with private entry, perfect for a mother in law suite, extra storage space or additional hobby room. The spart space houses your washer/dryer, utility sink, extra cabinetry and built in desk area. 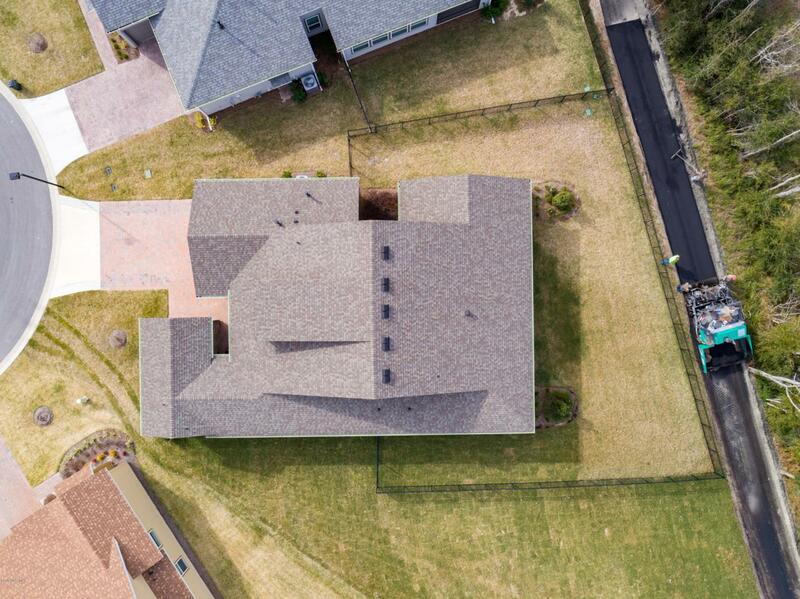 As mentioned, this home sits on a HUGE lot. The fenced in area doesnt end at the lot lines, the lot continues. It backs to a walking trail, and a private pasture - allowing for maximum privacy. There is a rear screened in lanai that is accessible from the master bedroom or a triple slider in the living areas. The entire home has a whole house water filtration system! This home is unbelievable! There are too many features to list. 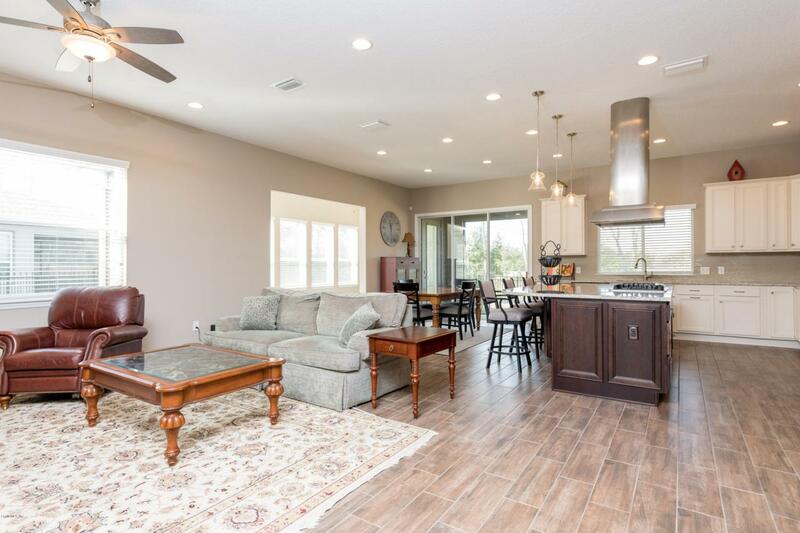 Trilogy is the most desirable active adult community in Ocala. 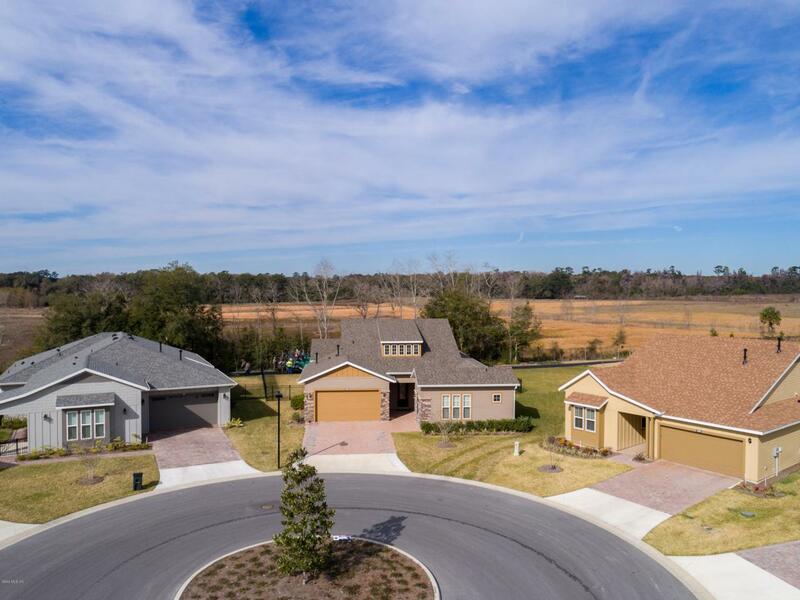 Be sure to check out the AMAZING clubhouse, Salted Brick restaurant, state of the art gym and spa, outdoor active areas, miles of walking and biking trails, lake for canoeing, resort style pool, tennis courts, golf and MORE! Listing provided courtesy of Stephanie Cathey of Re/Max Signature. © 2019 Gainesville MLS, Inc. All Rights Reserved. Information deemed reliable but not guaranteed.The Broker Reciprocity logo designates real estate listings held by a brokerage firm other than Bosshardt Realty. IDX information is provided exclusively for consumers' personal, non-commercial use and may not be used for any purpose other than to identify prospective properties consumers may be interested in purchasing. Data last updated: 2019-04-18T11:07:03.81.